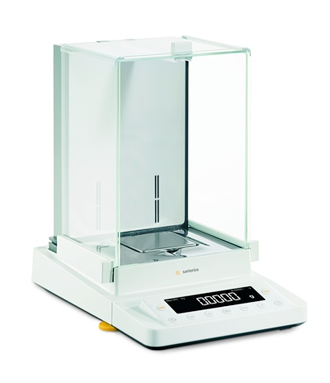 When weighing a sample for Karl Fischer analysis, we recommend a certified analytical balance with a minimum readability of 0.1 mg. We offer a full range of Sartorius (r) analytical balances featuring the ground breakeing Cubis and simple and high-performance CPA series. At K'(Prime) we carry a large array of Sartorius Balances and other Metrohm titration products. To find out more about these systems, please get in touch with us by phone or completing our Contact Form for more information. Cubis® is the new benchmark, setting the standards for all others to follow. The Cubis® modular equipment series, consisting of display and control units, weighing modules and draft shields, interface modules and an extensive line of accessories, enables you to customize your Cubis® balance to meet your specific requirements for any weighing task. Offered in a choice of three display and control units, Cubis® meets the requirements of different operating concepts and covers the entire range of laboratory applications. Q-Guide – novel, wizard-supported User/Task Management for easiest operation – even when the most complex weighing tasks need to be performed. Q-Level – leveling, fast, easy and reliable. A standard feature, with interactive prompts displayed during manual leveling (MSA and MSU). Cubis also provides the option of motorized leveling – for fully automatic leveling at the touch of a key (only for 1mg models). Q-Pan – the first lab balance that automatically minimizes off-center loading errors and thus maximizes weighing accuracy. Q-Com – a communication design that satisfies every need, and then some. USB, Ethernet and RS-232C ports, the latter for connecting accessory equipment, are built-in standard features. With an integrated SD card reader for data storage and convenient data transfer (not for MSE). Additional interfaces, such as a Bluetooth® wireless technology module are optionally available. Advanced Pharma Compliance. Cubis® is ideal for use in regulated areas in the pharmaceutical industry, e.g., with User/Password Management, Audit Trail function, Alibi memory, alert messages and reminder functions, isoCAL fully automatic calibration and adjustment, and is designed for easy and thorough cleaning. Cubis® offers the first top-loading semi-microbalance featuring full resolution (readability 10µg) up to 220g. Space savings up to 25%. Top-of-the-line technology and information design. Touch screen featuring high-resolution color TFT for high-contrast display of texts and graphics. Outstanding operating convenience and display quality, especially for complex applications that require substantial text input. The optimal features and equipment to meet the very highest requirements, for example, in the pharmaceutical industry. Cubis® is the new benchmark, setting the standards for all others to follow. The Cubis® modular equipment series, consisting of display and control units, weighing modules and draft shields, interface modules and an extensive line of accessories, enables you to customize your Cubis® balance to meet your specific requirements for any weighing task. Offered in a choice of three display and control units, Cubis® meets the requirements of different operating concepts and covers the entire range of laboratory applications. Q-Guide – novel, wizard-supported User/Task Management for easiest operation – even when the most complex weighing tasks need to be performed. Q-Level – leveling, fast, easy and reliable. A standard feature, with interactive prompts displayed during manual leveling (MSA and MSU). Cubis also provides the option of motorized leveling – for fully automatic leveling at the touch of a key (only for 1mg models). Q-Pan – the first lab balance that automatically minimizes off-center loading errors and thus maximizes weighing accuracy. Q-Com – a communication design that satisfies every need, and then some. USB, Ethernet and RS-232C ports, the latter for connecting accessory equipment, are built-in standard features. With an integrated SD card reader for data storage and convenient data transfer (not for MSE). Additional interfaces, such as a Bluetooth® wireless technology module are optionally available. Advanced Pharma Compliance. Cubis® is ideal for use in regulated areas in the pharmaceutical industry, e.g., with User/Password Management, Audit Trail function, Alibi memory, alert messages and reminder functions, isoCAL fully automatic calibration and adjustment, and is designed for easy and thorough cleaning. Cubis® offers the first top-loading semi-microbalance featuring full resolution (readability 10µg) up to 220g. Space savings up to 25%. High-resolution, generously sized, monochrome graphic display and keys that feature positive click action and precise activation of functions. For users who prefer to combine classic key-operated control with the widest range of performance features. If the user does not have any complex application requirements, but nevertheless requires uncompromising reliability in the weighing results, the MSE control head in conjunction with the weighing modules of the microbalances and ultramicrobalances offers a perfect and cost-effective solution. 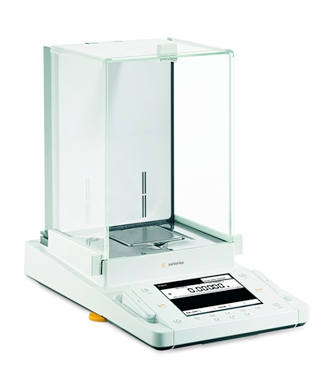 At K'(Prime) we carry a large array of Sartorius Balances. To find out more about these systems, please get in touch with us by phone or completing our Contact Form for more information. Cubis® is the new benchmark, setting the standards for all others to follow. The Cubis® modular equipment series, consisting of display and control units, weighing modules and draft shields, interface modules and an extensive line of accessories, enables you to customize your Cubis® balance to meet your specific requirements for any weighing task. Offered in a choice of three display and control units, Cubis® meets the requirements of different operating concepts and covers the entire range of laboratory applications. Q-Guide – novel, wizard-supported User/Task Management for easiest operation – even when the most complex weighing tasks need to be performed. Q-Pan – the first lab balance that automatically minimizes off-center loading errors and thus maximizes weighing accuracy. Q-Com – a communication design that satisfies every need, and then some. USB, Ethernet and RS-232C ports, the latter for connecting accessory equipment, are built-in standard features. With an integrated SD card reader for data storage and convenient data transfer (not for MSE). Additional interfaces, such as a Bluetooth® wireless technology module are optionally available. Advanced Pharma Compliance. Cubis® is ideal for use in regulated areas in the pharmaceutical industry, e.g., with User/Password Management, Audit Trail function, Alibi memory, alert messages and reminder functions, isoCAL fully automatic calibration and adjustment, and is designed for easy and thorough cleaning. Cubis® offers the first top-loading semi-microbalance featuring full resolution (readability 10µg) up to 220g. Space savings up to 25%. Large, high-contrast liquid-crystal display, easy-to-understand menu guidance with short text prompts; clearly structured keys for precise activation of functions. It offers the optimal basis for users who need to weigh with the highest accuracy, but have lower needs in terms of complexity of a weighing process and in data management. Skill and technology determine the winner. 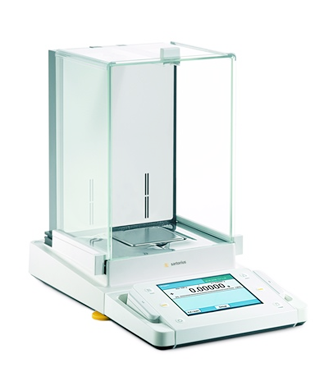 That is why all balances of the new Sartorius CP series are equipped with a monolithic weigh cell available only from Sartorius. This cell is not only incredibly precise, but also exceptionally reliable and durable. The new Sartorius CP generation of the field-proven Sartorius Competence series of laboratory balances, whose reliability has won over many users in their daily lab procedures, sets the standards yet again in technology, quality and features. The new CP is the first choice for those who wish to avoid the risk of buying the “wrong” weighing equipment. 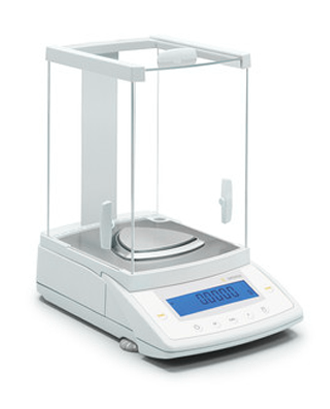 This series includes 5 analytical balances with finely staggered weighing ranges from 64 to 320 g.